Ferrari is the fastest car on the grid, followed by Mercedes and Renault. McLaren beats Racing Point and Williams, finishing seventh in the World Championship. Nueve days. This is the period that remains for the stoplight of Albert Park's pit road to turn green and the Grand Prix of Australia 2019 begins, a test that will allow to definitively fix the order of the grid of the Formula 1 World Championship 2019. To make waiting more pleasant, the championship has made its own classification after analyzing the millions of data that the preseason has thrown at the Circuit Barcelona Catalunya. Ferrari leads this particular rank, completing Mercedes and Renault the other two drawers of the podium. In the same way, McLaren is placed in the eighth position, ahead of Racing Point and Williams, although the 'Great Circus' relies on the power of evolution of the Woking factory and predicts that they will defeat Toro Rosso to finish the season in seventh place in the team World. "The Italians Ferrari SF90 has proved to be the fastest car in the pre-season tests, it started with a very solid pace and has enjoyed an upward improvement in its performance over the eight days of testing. In laps with little fuel, the advantage was only three thousandths over Mercedes, but the difference increased when the performance in batches was analyzed. According to our data, Ferrari had an advantage of approximately 0.4 seconds when starting the simulation with a minimum fuel load. The interval increases when the Italians' car has more gas in its deposit. Since, everything has not been a walk of roses for the squadron of the Prancing Horse. They have had a fault in one of their tires, a problem in the cooling system, an electrical failure and a problem in the exhaust, which limited their presence on the track and finished second in the mileage table, 193 laps behind. Mercedes. The SF90 is clearly fast. Can reliability be its weak point in 2019? " " There has been a lot of talk about Mercedes' dominance in recent years. Seeing that they were the second best after Ferrari in the preseason, it may sound somewhat disappointing. The data suggest that they are somewhat behind the Italians. However, the silver arrows do not usually show their cards until the campaign starts in Melbourne. The Brackley brought a new aerodynamic package to Barcelona for the second week, something that was planned despite its bad pace in the first week of test. The German team has been the one that has completed more kilometers with 1,190 laps in total. The new W10 seemed to be very manageable in the last sector of the Circuit de Barcelona-Cataluña. The current champions should not panic, they have proven to be able to overcome in the most complicated moments. " " You can be surprised by the position of Renault in our ranking, but There is evidence to support our theory. While the pre-season has been very focused on Mercedes, Ferrari and Red Bull, the French have completed their program without major problems. The Enstone have been the third team with the highest mileage, only behind Mercedes and Ferrari, and have achieved the third best time with little fuel. It is clear that they have improved during this winter, especially with the engine. Red Bull will surpass them throughout the season, but everything indicates that they have reduced the interval with the three leading teams. A podium or two, maybe, is not something so crazy taking into account the template formed by Daniel Ricciardo and Nico Hülkenberg ".
" It has not been a preseason Terrible for Red Bull, but nothing special either. The first few days were very quiet and the beginning of his relationship with Honda started off sensationally. However, Pierre Gasly's accident on the penultimate day - his second loss in the tests - completely lashed.
. New parts had been brought in every day, and spare parts were limited, so the significant damage that Gasly caused They were very problematic - Max Verstappen rolled just 29 laps on the last day. They have been eighth in the overall classification of kilometers, ahead of Racing Point and Williams. In terms of pace, Red Bull has achieved the seventh fastest time, eight tenths off the lead. Their program was interrupted and they could not drive around with little fuel and the C5, the softest tire of the Pirelli selection. But as a posiiva, our data shows that the pace in long runs of Red Bull looks very promising compared to the Mercedes and Ferrari and, in some parameters, are the best. Both riders have echoed these sensations and are very excited about their chances ahead of the new season. " " The data at one round of Haas have not been very positive, but the American team is not too worried about it, because showing their rhythm was not a priority in their program. Instead, they have focused on getting the maximum possible mileage and polishing their race pace in long runs, and this is where they have stood out the most. In one of the reports generated by our data team, which must be taken Considering that it is unknown what fuel loads are being used, Haas is the fastest of all in long runs. Other analyzes place them in third place on the grid, which is still impressive. Maybe it should not surprise us too much, since they use many pieces of Ferrari, which are currently leading the head. However, they suffered reliability problems, since the team caused the red flag on several occasions during the tests. Therefore, there is work to be done if Haas wants to maximize the potential of a car that looks very competitive. " " It's a car that shares the characteristics of Red Bull, In addition to having several parts of the RB14 last year. It is quite manageable as shown during the preseason tests and has shown an encouraging pace. As for the pace at one lap, Toro Rosso has achieved the fourth fastest time, with Alexander Albon and Daniil Kvyat tied at just 0.6 seconds of the head. However, his race pace was less impressive, as they occupy the second to last place on the grid. Since this, one of his biggest priorities was to get a lot of mileage, especially considering that it was the first time that Albon was climbing to a Formula 1 car after a first shakedown prior to the winter tests. For its part, Kvyat has returned to the premier category after more than a year. Those of Faenza have achieved this by completing 935 laps, without apparent major problems. " " At the end of the first week, Alfa Romeo looked comfortably as the best of the rest behind the three leading teams, but their performance has worsened in the second week due to lack of reliability and lack of pace. Have gone from third to fifth in the table of kilometers, although 922 laps are not at all a bad data What is more worrying, is its rhythm to a lap. In the general classification, Kimi Raikkonen and Antonio Giovinazzi did not manage to enter within the interval of 1'16.
. Their long-time rhythm was more encouraging, since the various data produced by our analysis team place them between the fifth and the sixth place Of the grill. If we add to this a closer relationship with Ferrari and a greater influence of Alfa Romeo, it is to be expected that they will strengthen as the season progresses. " " Soft. That would be a good way to describe McLaren's preseason, which will undoubtedly have been a great relief for the team. They have reached the top of the timesheets in the first two days of the second week. But when you observe the times corrected for the tire wear, and without knowing the fuel loads, the Woking ones are one lap around the sixth position and that's not such a bad thing. 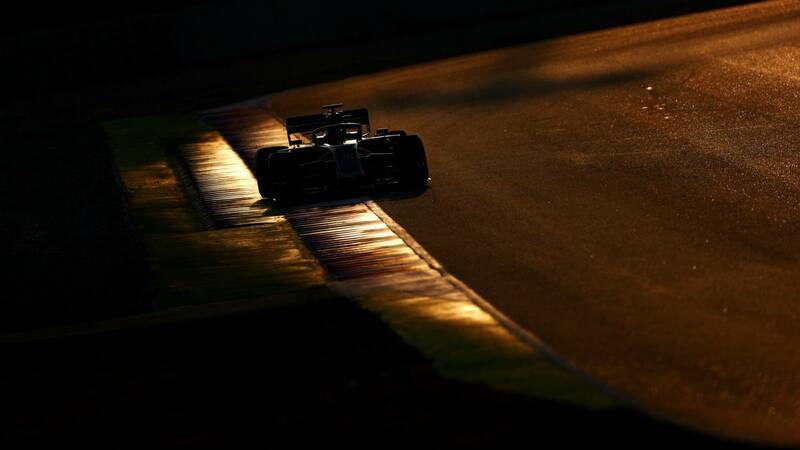 Their long-run race pace, however, was not as competitive, and they have fallen around the eighth position, ahead of Toro Rosso and Williams.
. Their mileage was good, with 873 laps, which put them in the sixth. place of the table and do not forget that McLaren is in full restructuring. So a quiet winter like this has been just what the doctor prescribed. This gives them a good foundation on which to build ".
" The now defunct Force India has focused, as usual, on the reliability during the preseason, before bring updates to the first race of the new campaign. The car was very basic and as a result, have not caused major impacts in the best times. His best time, courtesy of Lance Stroll, was 1.335 seconds slower than Vettel's, but the Canadian made use of the compor Pirelli's C4. Their long-run pace was more encouraging: In some data, they proved to be the fourth strongest team, but since the car is preparing for a big makeover for Melbourne, with many new pieces, the Silverstone's team has the potential to take a big step forward on the grid quite easily. " " Look where you look at the statistics, the data is not good for Williams. The first two and a half days of testing were lost, which in turn meant that they were still doing aerodynamic tests in the second week while everyone else was working on the performance. They got 567 laps, which is a little less than the half of the turns completed by Mercedes and have been the only team that has not gotten within the interval of 1'17. They also lack long-run data. Robert Kubica, who has returned to Formula 1 this year, has admitted he has no confidence in the FW42 facing Melbourne. Williams can at least feel comfortable about the fact that the car, in general, seems superior to the model last year, but you can argue that it is not a very difficult task. Grove will be very busy a few weeks before what could be a very difficult season for the iconic British team. "